It's harvest time at the the vineyard! 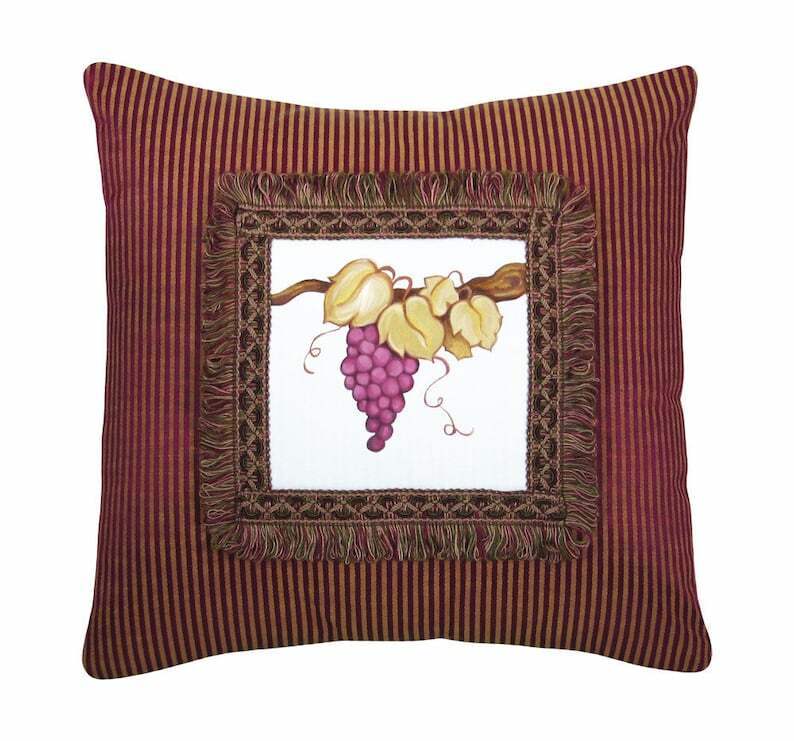 This handpainted pillow will add a touch of the old world to your wine room decor. At 17x17 it is a slightly oversized classic toss pillow. Back panel of purple velvet has an overlap closure. Insert included. If you need more than one of these, please contact us. We have more pieces made in stock. I love it! A round soft green ball pillow!